Week end con Steve Gadd Band, Marcus Strickland e Bari Youngblood Session & Gaetano Partipilo. 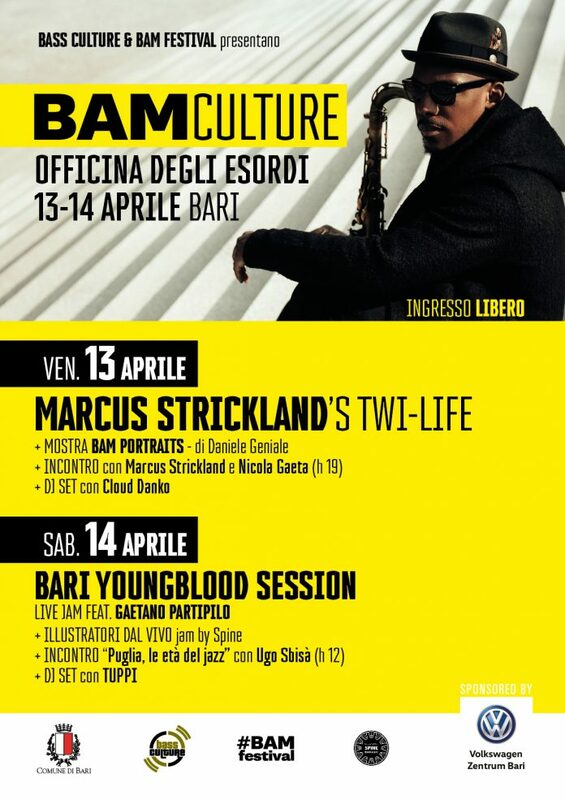 From April 12 to 14 Bass Culture organizes a weekend in Bari rich in musical proposals of relief, from the concert of Steve Gadd Band to that of the quartet Marcus Strickland. There will be two events: one to be held at the Showville theater on April 12th and will see the band (a quintet) on stage at the legendary Steve Gadd, one of the most influential drummers in the world; The other one that lasts two days, BAM CULTURE, foresees friday 13 the saxophonist Marcus Strickland in quartet with his project Twi-Life while in closing, Saturday, April 14th, the saxophonist Gaetano Partipilo will lead the Bari Youngblood Session, a quintet formed by some of the young Apulian musicians most active in the latter period. Both evenings will take place in the workshop Officina degli Esordi and will close with DJ sets. BAM Culture is the beginning of a residence, at the Officina degli Esordi (Bari, via Trevisani 5), which will continue to offer live events alongside meetings, book presentations and themed visual arts exhibitions. BAM Culture is nothing more than the continuation of the musical concept that inspired the BAM Festival (an event that we intend to continue living) whose first edition took place in Bari in 2015 based on the idea of promoting an acronym that stands for Black American Music.